The original iPad Pro was a huge upgrade to the original iPad, and it showed us a new way that Apple was thinking about professional users. I loved using it, from the new Apple Pencil to all the new pro level apps. There were also a few things I wasn’t crazy about. The size and weight of the 12.9” was a bit cumbersome and lacked fully developed professional apps. The announcement of the new 10.5” iPad Pro was welcome. The first noticeable difference is the new size, 10.5”, was mobile friendly. The new upgrades came with more ram and an even more powerful A10x chip. Over the last two years apps have been refined and the increased power will make these apps even more capable. Couple that with a Smart Cover toprop up your iPad. I wrote a full review of the current iPad Pro (linked) a few weeks back. When it comes to working mobile this is one of my new main tools. A smartphone is an invaluable tool for the road, my smartphone of choice is the iPhone 7. Paired with a Smart Battery case it allows me to use the mobile hotspot feature without worrying about being remote all day. The dedicated WiFi connection is safer in public and also allows for uninterrupted service instead of opting for overcrowded public WiFi zones. From creative apps like Adobe Capture to social apps, the iPhone is an admin assistant in your pocket. The iPad has an on screen keyboard, but it takes up almost half the screen real estate. In order for the Pro to be a work machine it needs a dedicated keyboard. 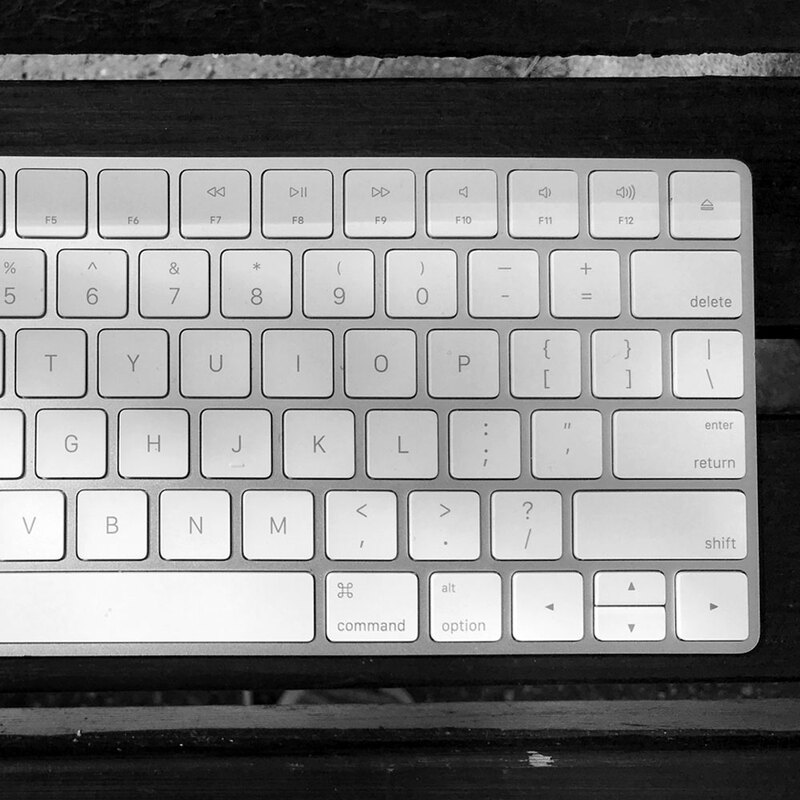 Apple makes the Smart Keyboard case which is great for the ultimate portability, but I prefer the Apple Magic Keyboard. It’s a full size keyboard as opposed to the Smart Keyboard case and it makes me feel like I’m at my studio. Some of you may be asking why exactly a smart watch is on the list. I actually use a 42mm Space Grey Nikelab+ Apple Watch for my daily activities. It is a great way to be reminded of tasks throughout the day. I also use it to control any music I’m listening to from my phone as well as an easy access point to my project time cards. It encourages me to stand up, preventing sedentary, and the Breathe app can help with a quick meditation. It’s an extension to my phone without having to use my phone. The AirPods have to be one of my favorite Apple purchases I’ve made in a while. They are comfortable, versatile, and helpful. 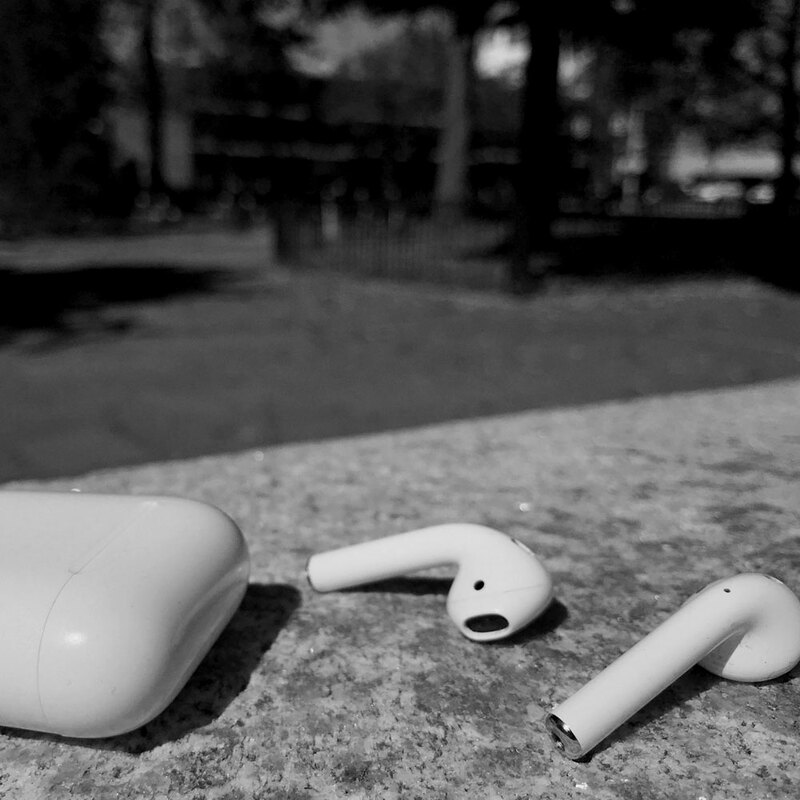 In my recent AirPods Review Post I mention that it is like having a personal assistant in your ear. Double tap one of the headphones to activate Siri. It may not be at the top of everyone’s list, but it is one thing I haven’t left home without. Another device I never leave home without is my Apple Pencil. Using it for everything from jotting down notes in a client meeting to sketching out a design. I have used a ton of different styli over the years, but this is by far the best. From the pressure sensitivity to the tilt control, Applehas the best on the market in my opinion. A microphone may seem a bit less necessary, but it is invaluable for a creative. I find myself taking a lot of video while I am out and the microphone gives the videos better sound quality than the interior speaker. I use my microphone to interview people as well. 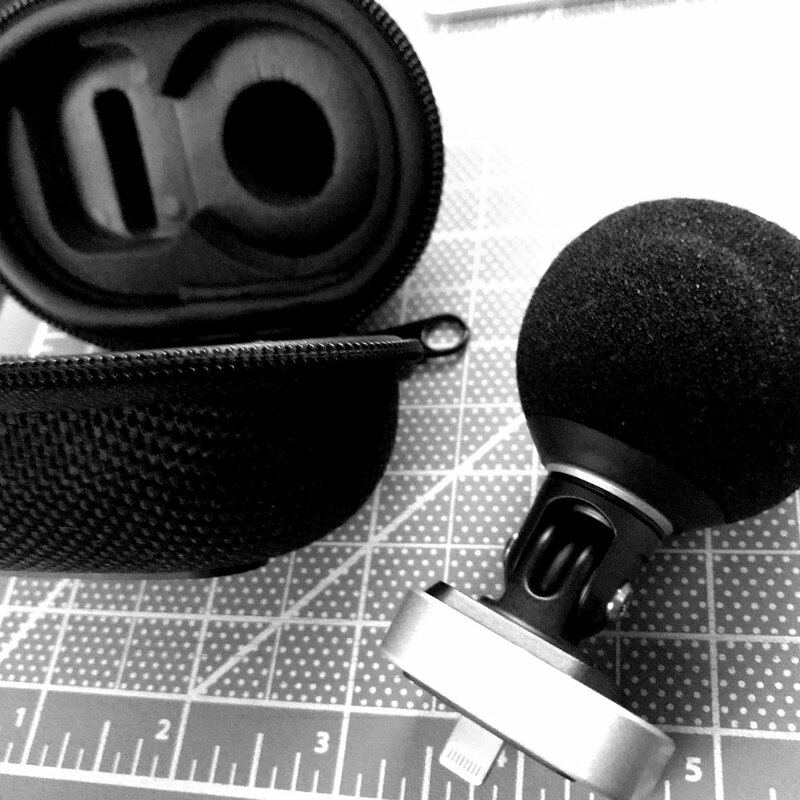 The microphone has four different modes for better sound recordings. Having all these tools are great, but when working remote you need a way to transport them. I currently use a Kenneth Cole backpack that my wife got me last Christmas. Typically I like to use Herschel Supply Co. backpacks. They are well made for constant traveling in style. The variety of plain colors and patterns allows you to choose one that caters to your individual style. With everything from backpacks to messenger bags they have a variety of storage types. The other item I am in love with is the Cocoon Grid-It organization system. A board with a series of elastic straps that keeps all your smaller tools in one place. It helps to declutter your bag. Having everything in one place makes it easy to pull out the board and find what you need. TheMophie Powerstation is another must have. An extra battery is useful for when you are running low on power with no place to plug in. The 6200 model has two USB ports to power two devices at once. It can fully charge an iPhone twice. The other device I never leave home without is my Square Card reader with Apple Pay and Chip Cards reader. It allows me to take payments by any type of card or smartphone on the market. After all, work is great but not if you aren’t getting paid for it. I also bring a thunderbolt charging wire or two. It never hurts to have something to charge with. With the collection of tools, most people could tackle all their work responsibilities remotely. If you’re not a fan of Apple products, there are several alternatives to the hardware listed above. The premise is the same regardless of the hardware. Now tools are just one part of the overall puzzle. Throughout the week we will be spotlighting iOS, apps, and the processes I used to work as mobile as possible. Join me for this week long journey and let’s become untethered together!